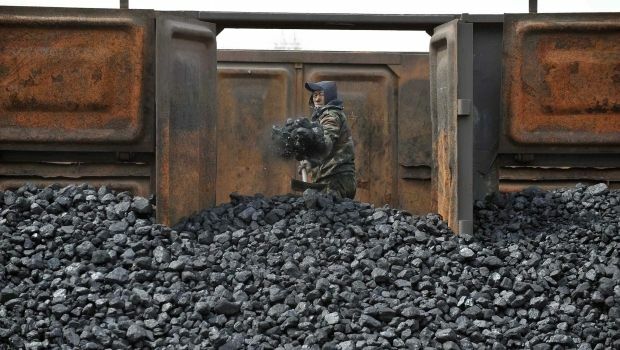 The Ukrainian government has decided to impose restrictions on coal exports by Ukrainian enterprises, including a ban on the export of scarce coal grades, Ukrainian Energy Minister Yuriy Prodan told journalists on Wednesday. "We’re introducing licensing and quotas for the export of coal,” Prodan said. The minister said that Ukraine needs at least 1.1 million tonnes of these types of coal. As UNIAN reported earlier, OSCE monitors have reported that Russian-backed insurgents in Ukraine’s east were continuing to export coal from Luhansk region. It was also reported that the export of coal for the last ten months of 2014 in monetary terms has amounted to $503.834 million. The largest consumers of the Ukrainian coal were Turkey with $117.304 million, Russia with $47.304 million, and Morocco with $44.696 million. Ukraine previously both imported and exported these types of coal. Thus, in 2013 imports amounted to $1.973 billion, an exports were $737 million. In 2012, imports amounted to $2.637 billion and exports were $609 million. Ukraine is experiencing serious shortages of steam coal due to the actions of Russian-backed militants in the east of the country, where the most of the country’s mines are located. In response, Ukraine decided to buy one million tons of coal from South Africa. The state has already acquired about 250,000 tonnes of South African coal for the state power company Tsentrenergo, the cost of which was about $86 per tonne. However, yesterday Volodymyr Zinevych, the director of the state company Ukrinterenergo, which deals with the purchase of the coal from South Africa, said that the supplier of South African coal to Ukraine, Steel Mont Trading Ltd., was not yet ready to negotiate the supply of a third shipment of coal of 250,000 tonnes at a price of $86 per tonne.